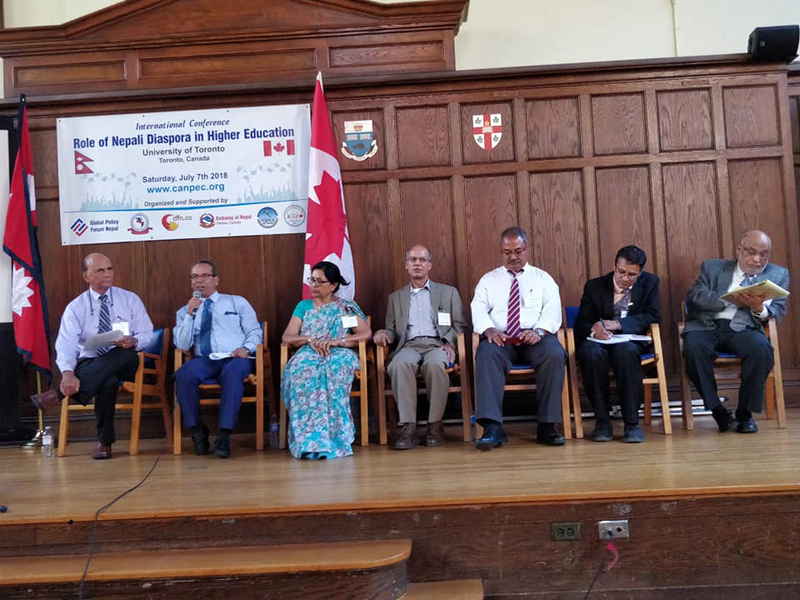 KATHMANDU, July 16: An international conference on Role of Diaspora in Higher Education in Nepal held in Toronto, Canada, has concluded by issuing a 15-point Toronto Declaration. The conference has suggested developing Nepal's private institutions of higher education on non-profit model. While noting that public education is the backbone for the development of the country, the Toronto Declaration has concluded that private institutions of higher education should be based on non-profit model like the many top universities in the United States. The conference noted that accessibility, affordability, equity and quality should be the guiding principles for Nepal's education programs and that higher education programs in Nepal should serve all students by providing choices of research universities, teaching universities and community colleges. The conference jointly organized by Global Policy Forum for Nepal, Association of Nepalis in the Americas (ANA), Canada-Foundation for Nepal (CFFN) and NRNA-Canada, with the support of Ottawa-based Embassy of Nepal at the University of Toronto also said that academic programs must meet the ever-changing needs of the society by frequently updating the curriculum based on the latest developments in the respective fields. “A strong linkage between industry and academia can spur teaching, innovation and research in higher education, modernization of education and produce employable graduates,” reads one of the declerations of the conference. The conference held on July 7-8 aimed at reviewing the knowledge, experiences and skills of Nepali scholars in North America and identifying ways to organize the Nepali diaspora to support higher education in Nepal. More than 125 participants attended the conference, where some 30 scholars from the USA and Canada presented papers on the topic, according to the organizers. Participants of the conference expressed that by coordinating the existing individually-driven programs, and by mobilizing the funding access of the Nepali scholars living abroad, the diaspora can more effectively offer help for research and curriculum development in Nepal. 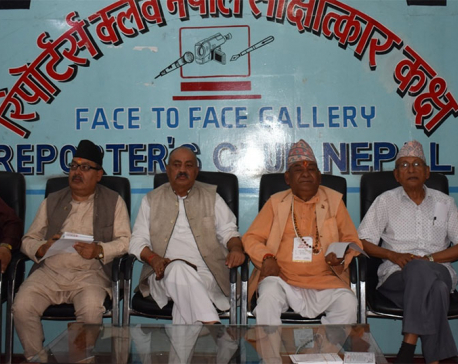 The participants of the conference also pledged to develop a network of scholars and organize themselves to collaborate with Nepali institutions and offer academic support. “Institutional platforms are needed both in Nepal (including the support from the government) and abroad for the exchange of knowledge, skills and expertise to be effective,” according to the declaration. KATHMANDU, Aug 29: International Hindu Conference 2017 is going to be held on the premises of Pashupati Temple from Thursday.